The Organic Optoelectronic Materials and Devices group, led by Professor Hany Aziz, conducts research in Giga-to-Nanoelectronics (G2N) on the emerging interdisciplinary area of organic electronics, focusing on electroluminescent (e.g. organic light emitting devices, OLEDs) and light harvesting (e.g. organic photovoltaics, optical detection and imaging devices) materials and devices. The research spans a wide range of areas ranging from studying fundamental phenomena in organic semiconductors (e.g. carrier injection & transport, exciton dynamics, carrier-exciton interactions) to developing novel technologies for next generation electronics (e.g. flexible flat panel displays, transparent electronics, printable electronics). 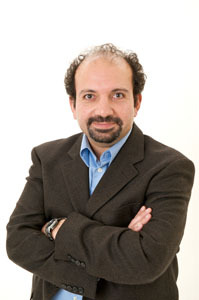 Learn about some of Professor Hany's publications on our publications page.